Mold are microscopic fungi and their spores are found in the air you breathe both indoors and outdoors. Mold spores are very tiny and lightweight. Mold spores found in indoor air can be produced by mold growing on damp or wet surfaces. Mold can grow indoors when air-conditioning ducts, walls, carpets, clothing, leather products and furniture get wet. In order for mold to grow indoors, it needs a food source (such as wood, wallboard, wallpaper, ceiling tiles, or carpet), a source of moisture and time to grow. Mold can produce and release millions of spores small enough to invade the human respiratory system. Mold growth can ruin and discolor household items. Mold growth can look white to orange and from green to brown and black. Mold can also cause expensive material damage to your home and may indicate you have a hidden water problem. HOW DO YOU COME IN CONTACT WITH MOLD? Sources of indoor moisture that may cause mold problems in your home or office include: flooding, leaky roofs, humidifiers, damp basements or crawl spaces, constant plumbing leaks, house plants, steam from cooking, gas heat, shower/bath steam and leaks, wet clothes, and improperly vented clothes dryers. They are easily spread by activities including, vacuuming, walking on carpet, sitting on a couch, opening and closing doors and even your heating and air conditioning system. When inhaled, mold can cause a range of health problems including respiratory problems (wheezing), nasal and sinus congestion, watery and red eyes, nose and throat irritation, skin irritation, aches, pains, and fevers. In large quantities, mold spores can cause allergic symptoms and trigger asthma attacks. Exposure to mold is not healthy for anyone, but the following individuals are at a higher risk for adverse health effects: infants, children, elderly, immune compromised persons, and individuals with existing respiratory conditions. HOW DO YOU FIND OUT IF YOU HAVE A MOLD PROBLEM? There are four (4) easy sampling methods to choose from. (See detailed instructions inside). 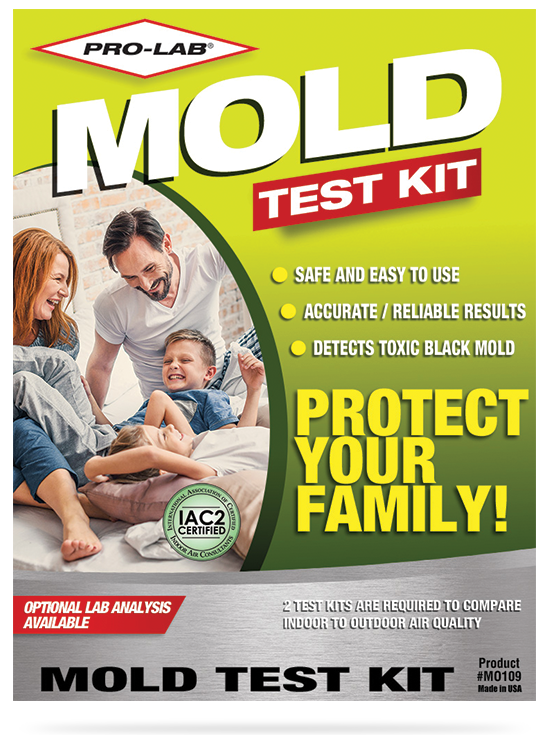 To find out if your home or office has a mold problem you must test. Simply place the prepared petri dish in the location you wish to test. You may also send a piece of bulk material to be tested for mold. www.inspectorseek.com and an IAC2 / INTERNACHI home inspector can identify the source of a potential mold problem in your home or office.